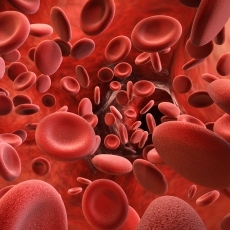 Hemochromatosis is a disease in which too much iron builds up in your body. Your body needs iron but too much of it is toxic. If you have hemochromatosis, you absorb more iron than you need. Your body has no natural way to get rid of the extra iron. It stores it in body tissues, especially the liver, heart, and pancreas. The extra iron can damage your organs. Without treatment, it can cause your organs to fail. There are two types of hemochromatosis. Primary hemochromatosis is an inherited disease. Secondary hemochromatosis is usually the result of something else, such as anemia, thalassemia, liver disease, or blood transfusions. Many symptoms of hemochromatosis are similar to those of other diseases. Not everyone has symptoms. If you do, you may have joint pain, fatigue, general weakness, weight loss, and stomach pain. Your doctor will diagnose hemochromatosis based on your medical and family histories, a physical exam, and the results from tests and procedures. Treatments include removing blood (and iron) from your body, medicines, and changes in your diet. Article: Iron and liver fibrosis: Mechanistic and clinical aspects.